QOLTEC adapters feature a USB C 3.1 port, making them the perfect solution for users of latest USB devices. Thanks to a variety of output ports – HDMI, VGA (D-Sub 15pin HD), DisplayPort – these devices can support virtually all the most popular image and sound transmission standards and can easily be connected to tablets, laptops, projectors or TVs. 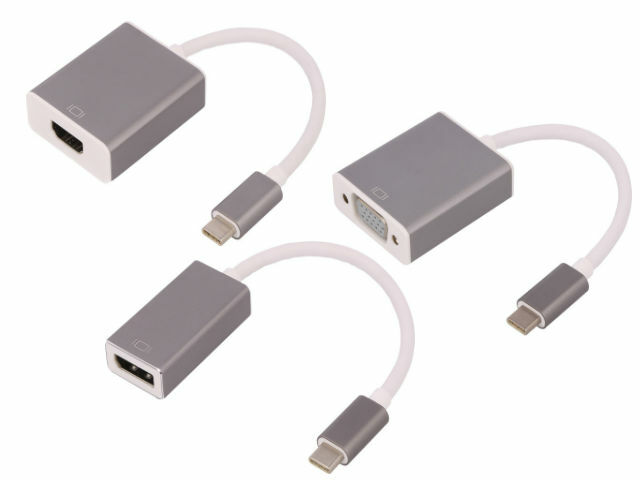 These small adapters have an 18–20 cm connecting cable. Their aluminium case gives them original, modern look. They are Plug&Play devices, so they don’t require any special drivers. All of those features make them perfect choice for travel and everyday use.